If you've always loved the ocean, but never learned how to dive then this is the perfect experience for you. Explore the Indian Ocean and dive to depths up to 20 meters deep without the need for any training or equipment except for the underwater scooter. With its clear glass dome, you get unparalleled 180-degree views of the ocean. The scooter is also spacious and can accommodate up to two people - perfect for you and your friend! Don't worry about your safety either because before you get in the ocean, you'll be briefed by the operator's expert instructors. After the 25 minute activity, you can even opt to stay longer and try out other ocean activities, or go with the relaxing Spa Treatment. Choose from any of the four flexible packages that all offer the best experience for your perfect ocean getaway! 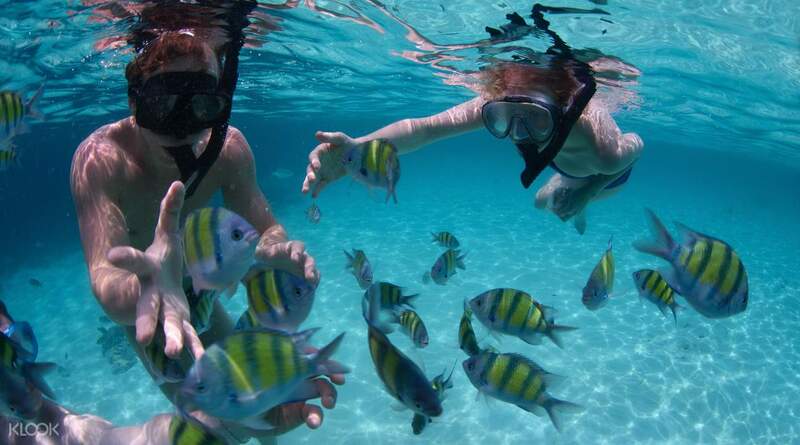 After your 25 min underwater scooter activity, relax on the beach, go snorkeling, and more! 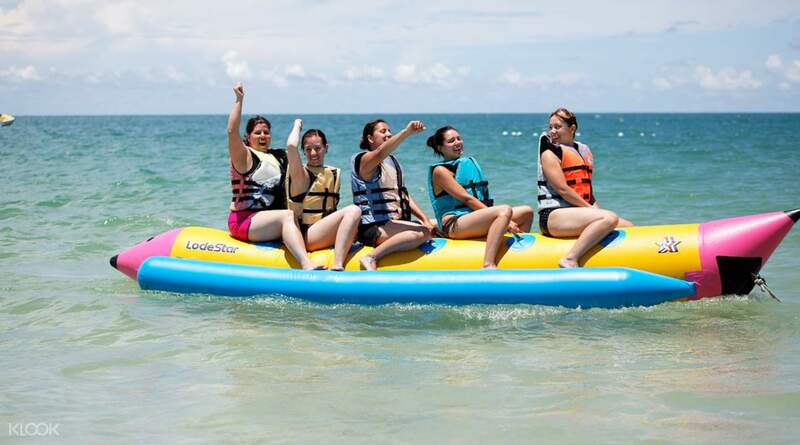 You can even try out other ocean activities like the Banana Boat, Fly Fish and more! With four different options to enjoy depending on your preferences, this is the perfect seaside getaway! underwater scooter was fun! everything went well. they reminded us about our booking 1 day before. we brought our own camera and we just paid them 100k idr to take videos and photos for us. the lunch included however was not so good (fried rice and noodles only). still highly recommended. underwater scooter was fun! everything went well. they reminded us about our booking 1 day before. we brought our own camera and we just paid them 100k idr to take videos and photos for us. the lunch included however was not so good (fried rice and noodles only). still highly recommended. lovely experience , a day spent well ! they didn't have flying kite so gave us a replacement to choose other activities... recommend definitely ! lovely experience , a day spent well ! they didn't have flying kite so gave us a replacement to choose other activities... recommend definitely ! As interesting as it seems, all you have to do is to sit on it and the air trapped around the head keeps you breathing, there isnt any extra equipment you need to dive down 5 meters. It's really fun when you start feeding the fish and they swarm around you. As interesting as it seems, all you have to do is to sit on it and the air trapped around the head keeps you breathing, there isnt any extra equipment you need to dive down 5 meters. It's really fun when you start feeding the fish and they swarm around you. Overall, had a fun experience with the underwater scooter and the divers were very professional. We paid additional IDR$650,000 for photographs and videos taken by the divers, as they said the pressure underwater might ruin our phones. Next, we had a choice of mee goreng or fried rice for lunch. Lastly, the driver sent us to Bali Orchid Spa for the spa treatment and the driver from Bali Orchid Spa sent us back to our hotel. Overall, had a fun experience with the underwater scooter and the divers were very professional. We paid additional IDR$650,000 for photographs and videos taken by the divers, as they said the pressure underwater might ruin our phones. Next, we had a choice of mee goreng or fried rice for lunch. Lastly, the driver sent us to Bali Orchid Spa for the spa treatment and the driver from Bali Orchid Spa sent us back to our hotel. Awesome experience. Took package B and get to play the activities one after another without much waiting. Manage to complete all by 1230pm and on the spot added parasailing adventure at US$40, IDR600,000 each, for the price of 2 pax package. More ex as compare to the one sold on klook but sil affordable. No hard selling just full or friendliness, fun, joy! Awesome experience. Took package B and get to play the activities one after another without much waiting. 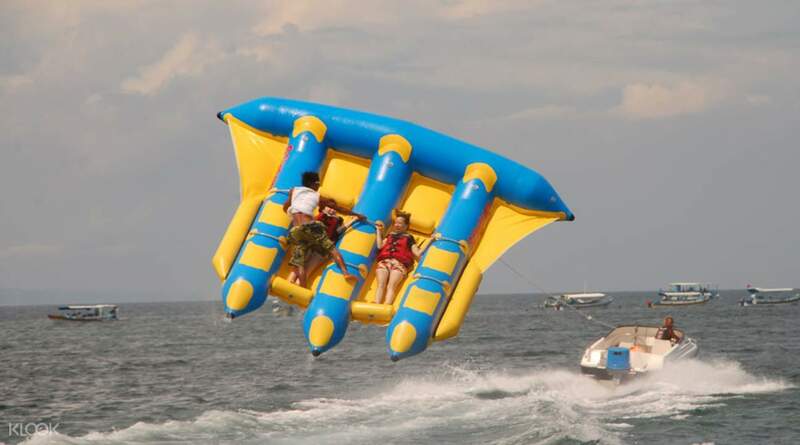 Manage to complete all by 1230pm and on the spot added parasailing adventure at US$40, IDR600,000 each, for the price of 2 pax package. More ex as compare to the one sold on klook but sil affordable. No hard selling just full or friendliness, fun, joy! Adventure packed underwater scooter is amazing. Two divers came along and one took our pics as well, photographs are like 45$ for unlimited pics but a bit costly. Make sure to follow the safety protocol for pressure change. Rest all leave it to klook, very well organized and Hassel free. Adventure packed underwater scooter is amazing. Two divers came along and one took our pics as well, photographs are like 45$ for unlimited pics but a bit costly. Make sure to follow the safety protocol for pressure change. Rest all leave it to klook, very well organized and Hassel free. This is waoo!! So so much fun. Underwater activities and on the water activities were superb. A big thumbs up. This is waoo!! So so much fun. Underwater activities and on the water activities were superb. A big thumbs up. Nice underwater scooter experience and nice instructors. However, the agent change our schedule for pick up from 8am to noon, so I can’t have enough time for other water sport, kind of waste my holiday schedule. For spa.... actually only have 1 hour massage + 30 mins bath time (package mentioned has 2 hour), not worth of value. The reception is nice and helpful. Nice underwater scooter experience and nice instructors. However, the agent change our schedule for pick up from 8am to noon, so I can’t have enough time for other water sport, kind of waste my holiday schedule. For spa.... actually only have 1 hour massage + 30 mins bath time (package mentioned has 2 hour), not worth of value. The reception is nice and helpful. We enjoyed the underwater scooter, flying fish, banana boat and jet ski. Lunch provided was great as well. We enjoyed the underwater scooter, flying fish, banana boat and jet ski. Lunch provided was great as well.